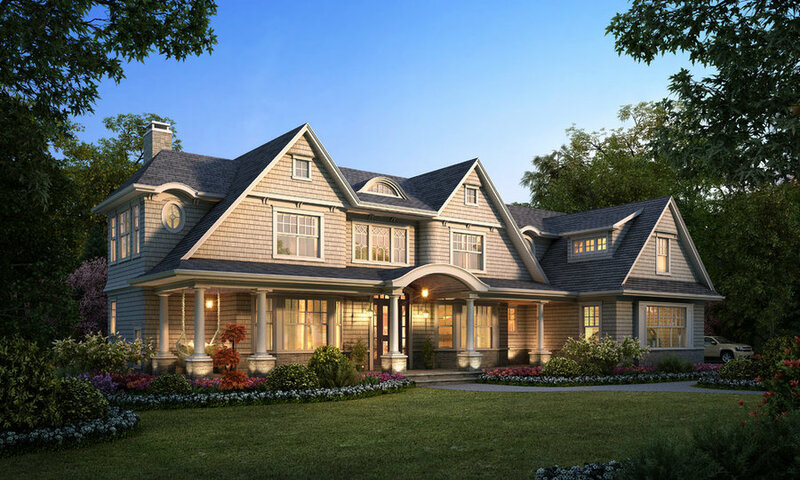 This one of a kind newly constructed Shingle Style home evokes a sense of charm and romance. The design is reminiscent of the stylistic vocabulary of McKim, Mead, & White, a prominent American Architectural firm from the mid 1800's. The "Shingle Style" vocabulary portrayed in the composition of this house is that it is rooted in true early American historic precedence.